My 9-year-old son is a whiz at math facts. He's had them all down since before he started fourth grade. But fractions can be tough. 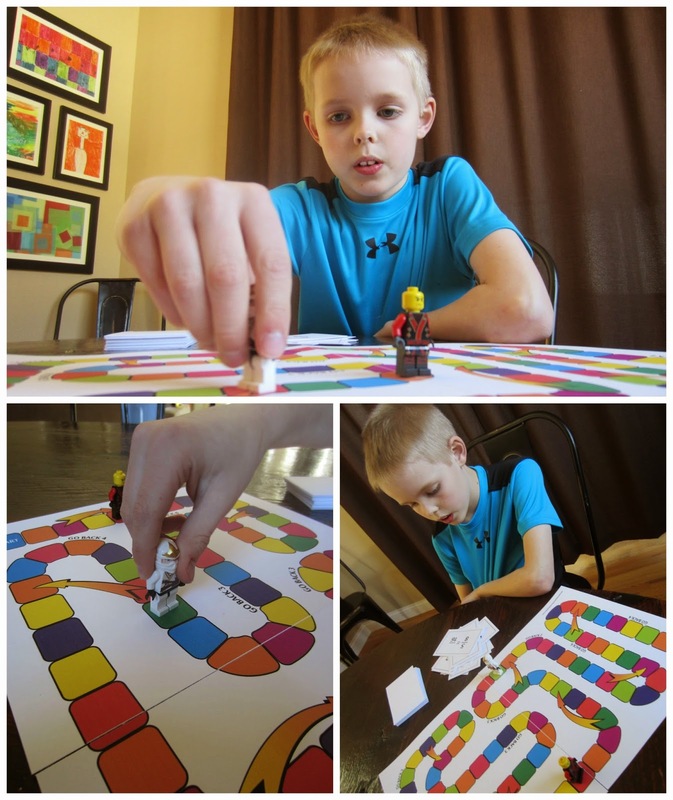 I wanted to test his multiplication fact skills by playing a game to make equivalent fractions. You can download the 5-page PDF for free from Google Drive here. I printed two sets of cards. We used two LEGO minifigures as game pieces. Players advance around the game board by finding the missing numerator on playing cards printed with equivalent fraction equations. The missing numerator is the number of spaces the player moves. If they STOP (i.e. the last space in their count) on a space with GO BACK instructions, they must move toward the start the number of spaces noted. If a player STOPs on a space that has the back-end of an arrow, they can follow the arrow and skip spaces on the board. The first player to make it to the finish wins. Turning fraction in to a fun game...brilliant! We aren't quite at this level yet but I'll be pinning it for future reference. Thanks for sharing! The game board is generic, Rachel, so feel free to use it to practice other skills! Thanks for pinning! Thank you for sharing. We are expecting a cold rainy day tomorrow, so I think I'll break this out! Thank you for this fantastic printable!! Sharing and pinning! These board games are great. 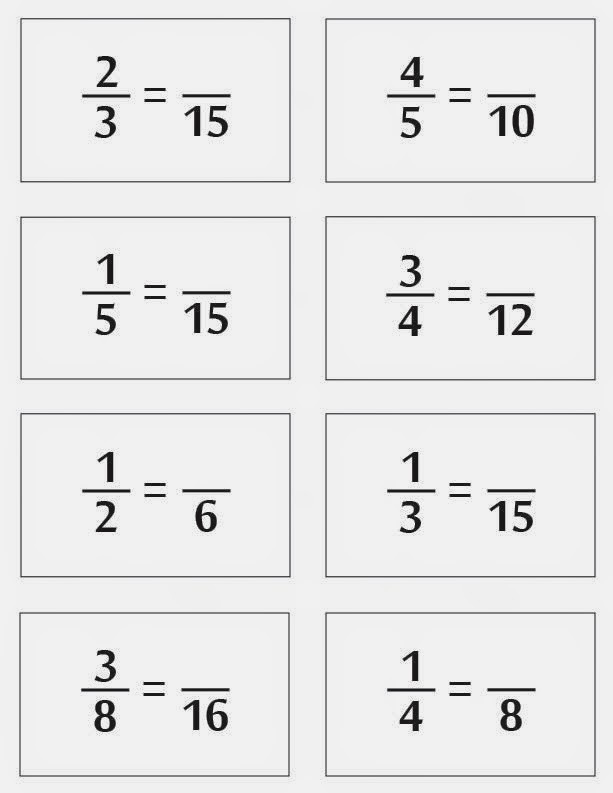 Conceptually, fractions are difficult for many students to grasp. There needs to be more educational tools like the "Missing Numerator" game to help kids obtain a more tangible understanding of how fractions work. I agree - fractions ARE hard. I struggled with fractions as a child - perhaps that's why I've created so many fun ways to explore/practice them. 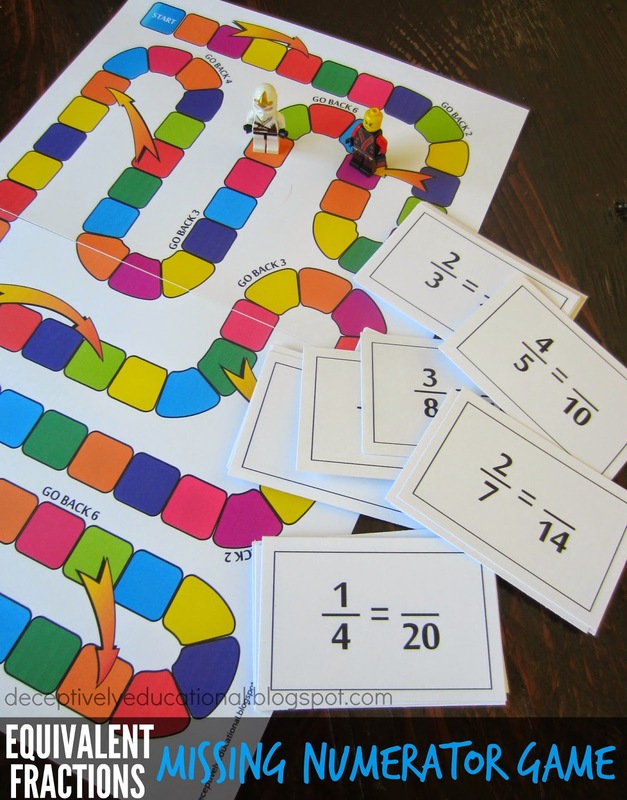 Check out my other fraction games and activities by clicking on "fractions" under the list of labels along the right side of my blog. What a great idea to have the missing numerator be the spaces to move forward. 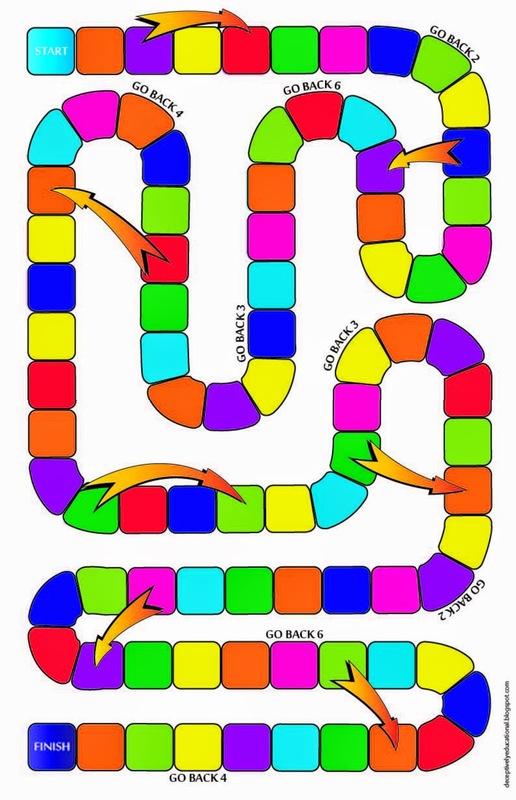 We will be doing this in class this week for my Buddy Games station. Thank you! Thank you so much! I am a fourth grade teacher in Melba. I am so excited to try this game with my class. Thank you for sharing and for FREE! you are amazing! Thank you for sharing this game and I am excited to try this game imn my classroom as we are working on fraction concepts. thank you for sharing these for FREE! You are awesome! Thank you for sharing your creative games. They are easy to make and will be fun to play! I greatly appreciate this free game!!! I am always looking for games to help my students understand fractions. Question!! If they get it right they move forward 1 space? They move forward the same number of spaces as the missing numerator. Thank you for creating this game and sharing it. Many of my students were struggling with finding equivalent fractions with LCD. This is very helpful. Thank you for sharing your creative games. Wonderful game. Will definitely try it with my students. Can't wait to try with 4th graders just learning about equivalent fractions, thank YOU for sharing.